180 families served in Brgy. Agahay, Maribojoc; run led by Erleo Bacabac. Bottles of drinking water were distributed to the following areas: Antequera – 60 boxes; Alburquerque – 20 sacks; Loon – 120 boxes; Calape – 100 boxes. Kapamilya Shower Na van is being prepared after minor repairs. 1,160 families served in Tagbilaran City and Tubigon; runs led by Erleo Bacabac, with Barangay Official Gina Cosare (Brgy. Tinangnan, Tubigon). 250 families served in Alburquerque; run led by Erleo Bacabac with Tagbuane Barangay Captain Neyso Gonzaga. 1,242 families served in Loon, with goods provided by the League of Municipalities of the Philippines; runs led by Erleo Bacabac. 1,449 families served in Sagbayan, Batuan, Tubigon, Balilihan; runs led by Erleo Bacabac. 1,436 families served in Calape; runs led by Angelo Angolo of RNG-Cebu. 5,784 families served in Buenavista, Maribojoc, and Sikatuna; runs led by Erleo Bacabac and Angelo Angolo RNG-Cebu; goods for Maribojoc provided by the League of Municipalities of the Philippines. 3,496 families served in Loboc, Loay, Calape, Antequera, Tubigon, and Tagbilaran City; runs led by Erleo Bacabac and Nic Beldad – SK, with Loboc Mayor Helen Alaba and RNG-Cebu volunteer Amelia Sumampong. 3,479 families served in Loay, Balilihan, Antequera, Tubigon, and Danao; runs led by Erleo Bacabac and Angelo Angolo RNG-Cebu. 4,623 families served in Calape, Tubigon, Antequera, San Isidro, Sagbayan, and Getafe; runs led by Erleo Bacabac with Philippine Army and Angelo Angolo RNG-Cebu; goods for Sagbayan provided by the League of Municipalities of the Philippines. 3,569 families served in Calape and Clarin; runs led by Erleo Bacabac. 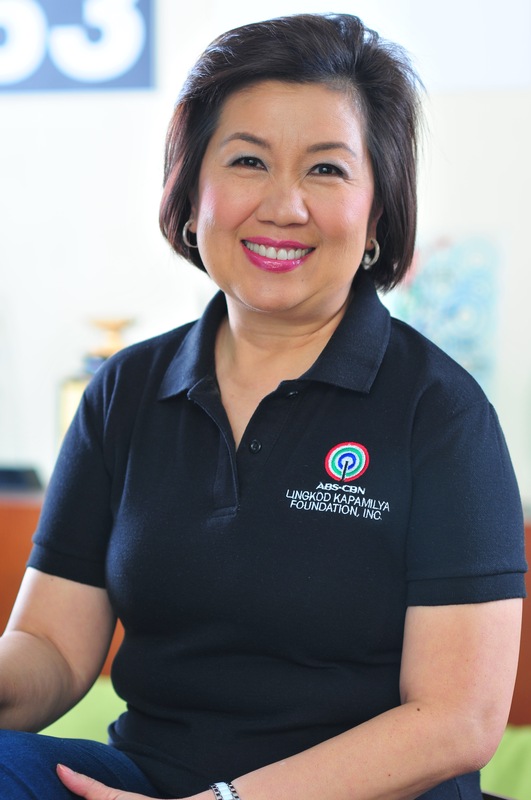 3,000 families served in Calape; runs led by Jodink Sayong ABS-CBN News. 6,204 families served in municipalities of Loon, Tubigon, and Buenavista. The runs were led by Erleo Bacabac, Angelo Angolo of RNG-Cebu, Regilah Gerona of BB163-Cebu, and volunteer Amelia Sumampong. Relief goods were shipped from Manila to Cebu via Tiger Air; from Cebu to Tagbilaran port by the Naval Forces. 6,590 families served in municipalities of Inabanga, Sagbayan, Bilar, Sevilla, Catigbian, Loon, and Loboc; runs led by Angelo Angolo of RNG-Cebu, Regilah Gerona of BB163-Cebu, and volunteer Amelia Sumampong of Cebu Provincial Government. Relief goods were shipped from Manila to Cebu via Tiger Air; from Cebu to Tagbilaran port by the Naval Forces. 4,193 families served in Antiquera, Loon, Catigbian, Sagbayan, and San Isidro. Volunteers from Asuncion Fishing and University of Bohol provided vehicles going to Antiquera and Loon. Relief goods were shipped from Manila to Cebu via Tiger Air; from Cebu to Tagbilaran port by the Naval Forces. Sagip Kapamilya distributed relief goods, bread, and water to 1,364 families in municipalities of Sagbayan, Clarin, and Balilihan. McDonald’s Philippines donated 10,000 buns with cheese. Sagip Kapamilya established a command center at Sum Building (owned by Dauis Mayor Miriam Sumaylo) in Brgy. Cogon, Tagbilaran. Sagip distributed relief goods and water to 1,000 families in Maribojoc. Goods were shipped from Manila to Cebu by Tiger Air; from Cebu to Tagbilaran port by Naval Forces. McDonald’s Philippines donated 10,000 bottles of water. Air21 shipped Kapamilya Shower Van from Manila to Tagbilaran. Sagip Kapamilya distributed relief goods to 1,020 families in municipalities of Loon and Calape. Goods were shipped from Manila to Tagbilaran by the Armed Forces of the Philippines via C-130; from Cebu to Tagbilaran by Naval Forces. Bohol Wisdom School Alumni headed by Eng’r. Aprilmel Lupot, Atty. Charles Edulan, Atty. Fermino Mar, Rey Go and Guillena Family provided land and sea transport in Bohol. Dauis Mayor Miriam Sumaylo provided fuel for the pump boats used in the transport of goods. The relief operations were in coordination with the Special Forces of the Armed Forces of the Philippines and LGUs in Bohol.